We are blessed in being able to serve the St Pius X Catholic Community and the Tucson Diocese. We are located at St Pius X, 1800 N. Camino Pio Decimo, Tucson, AZ 85715. Our meetings are held every 2nd and 4th Thursday of the month at St. Pius in the Hopi Room. You must have a valid Knights of Columbus membership card to attend unless the meeting is open for a social event. Two of the common prayers you may not know but wish to print and bring to the meeting are the Prayer for the Sick and Distressed and our Closing Prayer. We provide a Newsletter to all members and deliver the Newsletter via email (for those with access to the Internet) and printed copies through US mail. Email will be sent occasionally to our Brothers that include the Newsletter, prayer requests and general information that is either time sensitive or just can't wait for the Newsletter. If you have any comments or requests please contact GK Emmanuel (Dutch) Steenbakker via email at GK@KofCTucson.org. If you would like to see something posted on this site that is not here, contact the webmaster at Webmaster@KofCTucson.org and we will see how we might accommodate you. Welcome to our Council 10762 website and the St. Pius X community! Thank you for your interest in our community and in the Knights of Columbus. Our council has its regular scheduled meetings every second and fourth Thursday in the Hopi Room, 7:30 P.M. at St Pius X Catholic Church. The meetings last generally one hour. St Pius X is located at 1800 N Camino Pio Decimo Tucson, AZ 85715. Not only will you as a new member form new friendships and be involved more in your church community, but your wife and family will have every opportunity to be involved in many of our activities as well. We have included A Ladies Guide to the Knights of Columbus to better explain how she and your family can be a part of your experience with the Knights. 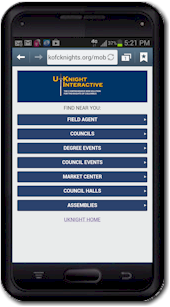 For more information about our council, membership or other questions that we might be able to assist you with, please visit our Officers/Directors page for contact information for our Membership Director for information on becoming a Knight. If you have never been to one of our services, please join us in celebrating our faith in Jesus. Our services provide lively fellowship and our music is sure to get your feet tapping. Father Harry and all of our priests deliver inspirational messages each week that provoke thought and help each of us face the week ahead with renewed hope and love for one another. We look forward to seeing you and welcoming you to our parish and to the Knights of Columbus Council 10762. The grand knight is responsible for the welfare of the council. He presides over council meetings, acts as ex-officio member at all committees, appoints a membership and programming director, convenes officers for a monthly meeting, and ensures all necessary reports are submitted to the state and Supreme Council. He should also be aware of council’s financial status and ensure that his signature appears on all checks drawn. The grand knight is a member of the Advisory Board with general supervision of the council’s Columbian Squire circle. For more specific duties and responsibilities, refer to the Leadership Resources Manual.#5093 and The Method of Conducting a Council Meeting #10318. The chaplain is the spiritual advisor of the council. He is expected to make a report at council meetings on religious matters. The grand knight appoints a priest in accordance with any rules established by the bishop of the diocese to serve as council chaplain. For more specific duties, responsibilities, refer to the Chaplains Handbook (#945). The chancellor has a variety of responsibilities. Primarily, he assists the grand knight and the deputy grand knight in the execution of their duties and oversees the council in both their absences. He is charged with strengthening the members’ interest in council activities. The chancellor is chairman of the admission committee and a member of the Columbian Squire circle ceremonial team. The recorder is similar to a court reporter or a secretary. He is responsible for maintaining a true record of all actions of the council and it’s correspondence. A Record’s Minutes Book (#1043) is available from the Knights of Columbus Supply Department for keeping record of council meetings. The financial secretary is appointed by the supreme knight, upon recommendation of the council. His main area of responsibilities is maintaining all financial and membership records. He collects and receives all moneys from all sources, including annual dues from council members. He also handles supply orders for the council officers and members, filing the Report of Officer (#185), and submitting all membership transactions to the Supreme Council. For more specific duties and responsibilities, refer to the Leadership Resources Manual #5093. The lecturer is appointed by the grand knight to provide both educational and entertaining programs to the council. He is responsible for the Good of the Order portion of council meetings in order to provide members with informative and educational programs, he must be knowledgeable and aware of all council programming. The advocate is the legal representative of the council and serves as the council’s attorney at trails and investigations of any interest to the council. While he does not need to be a member of the legal profession, he should be familiar with the council by-laws, the Order’s Charter, Constitution and laws (#30), The Method of Conducting a Council Meeting (#10318) and Robert’s Rules of Order. The warden is the “watchdog” for council property and degree paraphernalia, except the property of the financial secretary, treasurer and recorder. He is also responsible for setting up the council chambers for meetings and ceremonial work. During ceremonial exemplifications, he will appoint and supervise guards. The board of trustees consists of three members elected by the council and the grand knight, who serves as chairman of the board. They oversee the work of the financial secretary and treasurer, and with the deputy grand knight serve on the council’s retention committee. During council elections, only the three-year trustee is voted on, with the others moving on to become two- and one-year trustees, respectively.